If you are looking for a “bowling green” type of finish then you need to be looking for a cylinder lawn mower. You’re probably thinking, how are they any different from other kinds of lawn mower, right? Well it’s the manner in which they actually cut the grass. 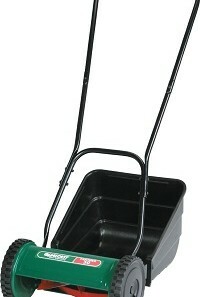 They feature a horizontally attached cylinder of blades which cut the grass blades with a precise scissor type action. They are also able to cut to shorter lengths, with some cutting as short as just 5 mm. When compared with a rotary mower’s average shortest length of 25 mm you realise there is a significant difference in this respect. 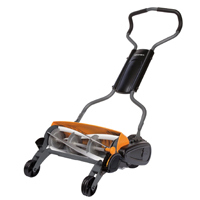 They are best used on flat lawns as slopes, bumps or dips will hinder cutting performance. Cleaner Cut – As we just mentioned, cylinder lawn mowers cut with a precise scissor type action that not only produces a high quality of cut, but is much healthier for your grass and encourages re-growth. Striped Finish – There is nothing more satisfying than looking out onto your garden and seeing a high quality, striped finish. It just looks ultra classy. 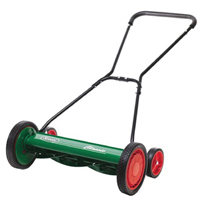 Cylinder lawn mowers are usually a bit heaver than other mowers and often feature a rear roller and this combination is key to achieving those perfect stripes.